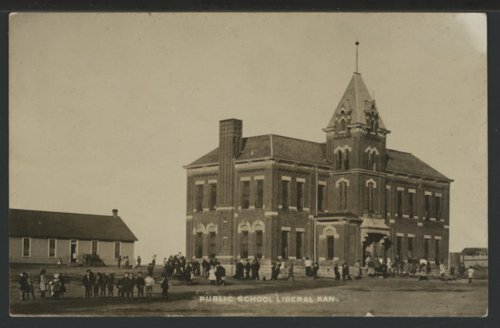 This is a photograph of the Lincoln Public School at Sixth and Lincoln in Liberal, Kansas. Students can be seen in front and to the side of the building with a three story tower at the entrance. It is a two story brick structure. There is also a wooden building to the left of the brick building.